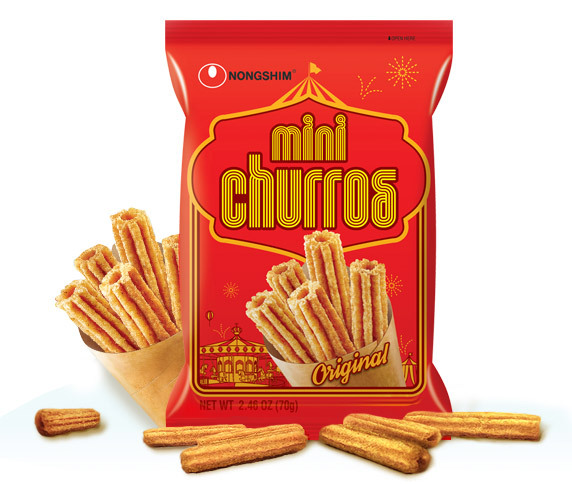 The same great taste and shape of churros at theme parks: Nongshim Mini Churros! Bite size snack for all ages to enjoy. Sweet taste of cinnamon and custard in every bite. Enjoy with your favorite ice cream or coffee to enhance the flavor. Start your day with churros and milk!